Search Matei private vacation rental ocean view homes and beach condos in Matei, Fiji. 2.5 Bedroom, 2 bath (1 with outdoor all rock private shower), 1400 sq.ft. house with 2500 sq.ft. of decking. All new furniture and bedding. 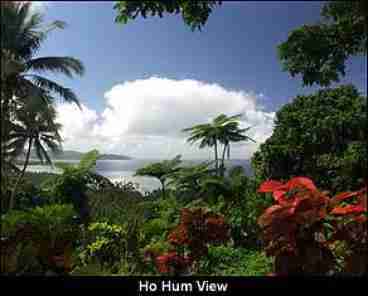 Sits on the tip of taveuni with a 300 degree view with beaches on the east and west side of the island for sunrises and sunsets. Private, beautifull and totally renovated in 2003. Wonderful service to help you every day. kayak,bikes and fishing complementary. Also have 3 beachfront bures ideal for 2 or 3 people.